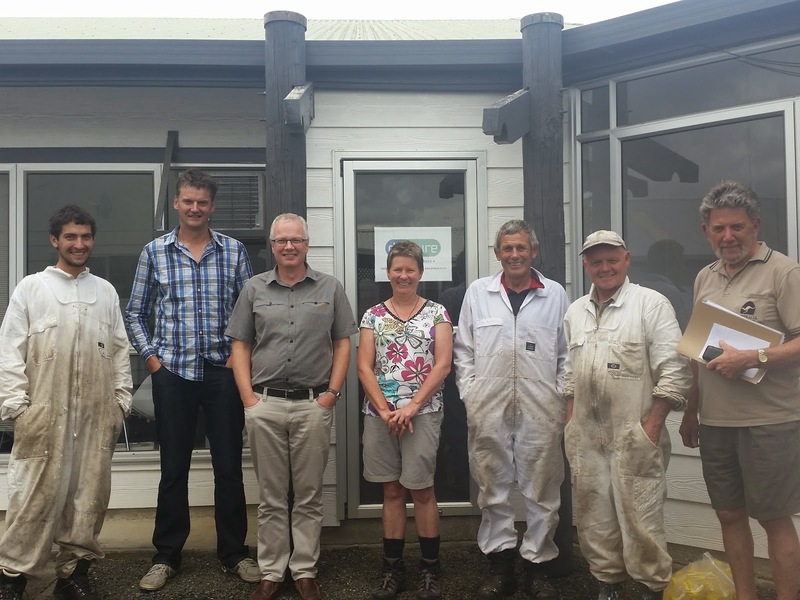 Every month at the moment I am flying to Gisborne to work on a project with some beekeepers. They are worried that some plants are being sprayed with chemicals (insecticides) which are killing their bees. This doesn't happen immediately but seems to make the bees sick for a while first. This is my science team. When scientists try and solve a problem, they find it easier to work with other people rather than just working by themselves. This lets them bounce ideas off each other. They are very good at brainstorming lots of ideas, some sensible and some crazy. They are also really good at sorting through the ideas and guessing which ones might work. They talk about why they think a thing might or might not work and let everyone share their ideas. They don't get annoyed when someone disagrees, they just ask them to explain their thinking. Really, it's not too different to being at school in SOLE.